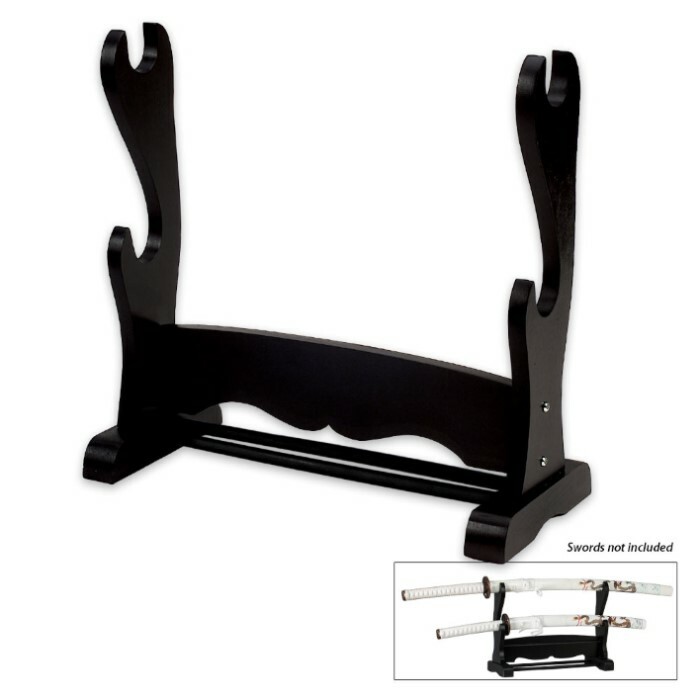 2-Piece Sword Display Stand | BUDK.com - Knives & Swords At The Lowest Prices! 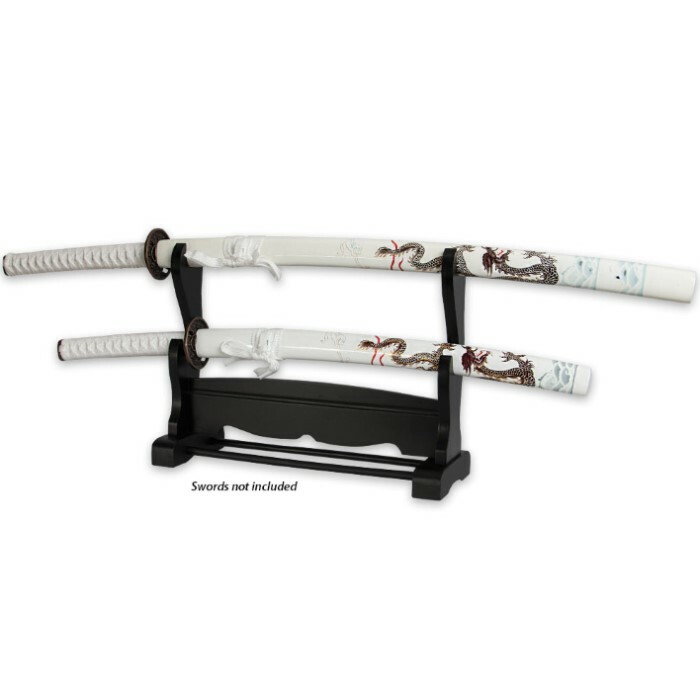 This display stand is a great way to display two of your favorite pieces, or for a katana and wakizashi set! Constructed of solid black wood with a black lacquer finish, this stand can display two swords horizontally. Good 2 Sword Stand. 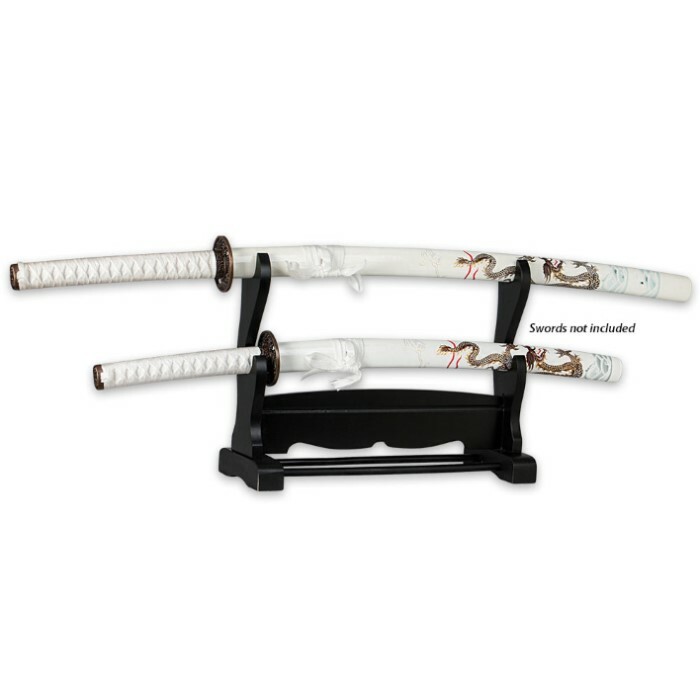 Holds my Shinwa swords with no issues. Definately not the best quality but well worth the price. holds my two Ninja swords beautifully. simple construction. Cheap, traditional look, and all in all the best stand ive found at a reasonable price, got about 20 of this myself. Great stand, Holds any length sword.